Last night was a cool, clear summer night in Los Angeles. 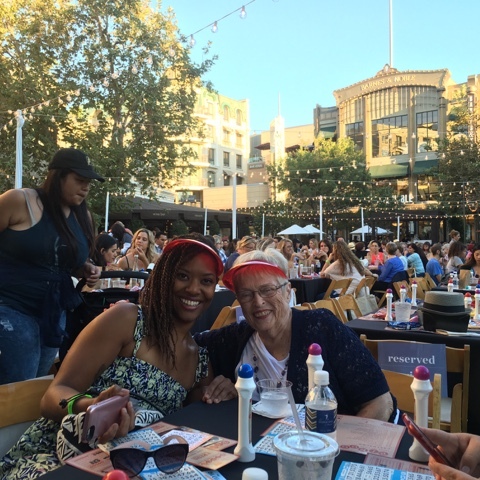 The perfect setting for BINGO Under the Stars with Bingo Boy and Deven Green at the Americana at Brand in Glendale. The event happens about three times per year and it's a pretty hot ticket that always sells out. Why shouldn't it? A mere $15 buys your a delicious prix fix menu selection from one of the Americana's finest restaurants along with your bingo cards which you play in a beautiful, posh setting with some the best and most fun bingo callers in the business. 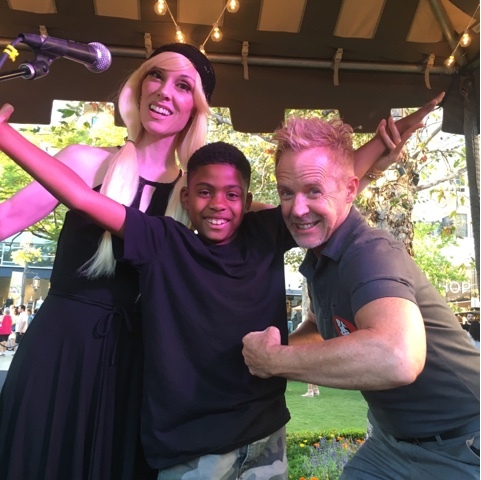 Kadir with hosts Deven Green and Bingo Boy. Bingo winners were sprayed with confetti before receiving gift cards from Americana retailers while raffle winners received tickets to Drag Queen Bingo (if you have not been it's such a great time- and as they say, "It's not your grandma's Bingo"). But nobody walked away empty handed as guests received reusable Legendary Bingo bags upon entry and all tables were laden with goodies like Bingo visors, retailer coupons, and complimentary snacks. Because my mother loves Bingo so much, I couldn't think of a better way to celebrate her birthday. 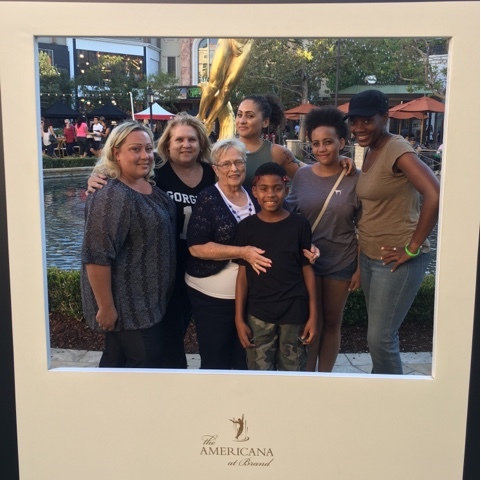 I can't thank the Americana concierge staff (shout out to Jill, Evan, and Jake) and the hosts Deven and Bingo Boy enough for taking such good care of us and being all around awesome! If you have the opportunity to get tickets next year, this event is one you don't want to miss. 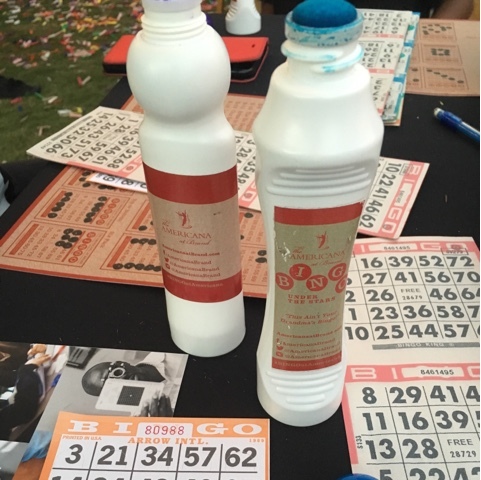 In the meantime be sure to check out other Legendary Bingo events going on in and around L.A.